Here is what to expect at one of our events…. I suffered with horrendous anxiety in my mid 20’s, to the point where I was hospitalised for a month – it was hell! I eventually trained as psychotherapist, and continued to try EVERYTHING to still reduce and manage my own anxiety, which I still felt at times was a life sentence! 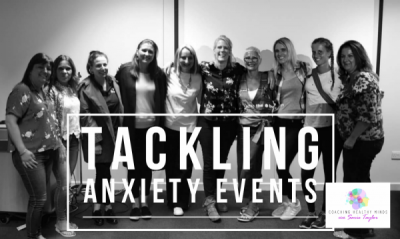 HOWEVER, in relation to anxiety I have never seen such fast and effective results as I have (with others and personally), as I did learning about the 3 principles that I will show you at this event. You will leave this event understanding anxiety like you haven’t before. It’s not rocket science, it’s just understanding how human beings work and how anxiety fits in with this! “If the only one thing people feared was not to be afraid of their experience, that alone would change the world”. IF YOU WANT TO JON ME SEE BELOW FOR CURRENT DATES! SEE WHAT OTHERS HAVE SAID ABOUT THE EVENTS…..
“Thanks for tonight’s session, it was really interesting and thought provoking. Many thanks again, I really enjoyed listening to your wise words”. “Thanks for tonight, it was interesting, fun and engaging”. “I really wasn’t expecting to learn something completely new that I think could really work for me, and its made me feel very hopeful going forward”. “I’ve found things so much more enjoyable since attending your course, thank you”. “Your thoughts are like the artists brush. They create a personal picture of the reality you live in”.